FFA - Florida Family Association campaign influences 23 companies to stop advertising at Huffingtonpost.com after the website published an article blaming Islamophobia for worldwide conflict with Muslims. Florida Family Association started a campaign on May 18, 2016 that urges companies to stop advertising at the Huffingtonpost.com after the website published an article blaming Islamophobia for worldwide conflict with Muslims. The details regarding the Huffington Post article are provided below. The Florida Family Association office contacts the CEOs and Marketing VPs of companies that advertise at the Huffingtonpost.com on a daily basis. 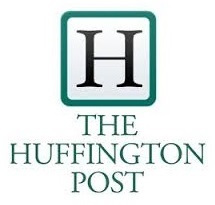 Twenty three (23) companies appear to have stopped advertising at Huffingtonpost.com. Florida Family Association plans to publish the names of companies that have stopped advertising after more than fifty companies have discontinued their advertising support. This is a cautionary measure to help prevent companies from being pressured to resume advertising.